Many, many injuries/deaths I would imagine. Are they suggesting terrorism or some kind of accident? (08-13-2015 04:29 AM)pilgrim Wrote: [ -> ] Are they suggesting terrorism or some kind of accident? Coincidence: just a day after China devalues it's currency and creates "currency war". A massive explosion has hit China's northern port city of Tianjin, reportedly injuring scores of people. According to Chinese state media, the explosion occurred when a shipment of explosives blew up at about 23:30 (16:30 GMT). 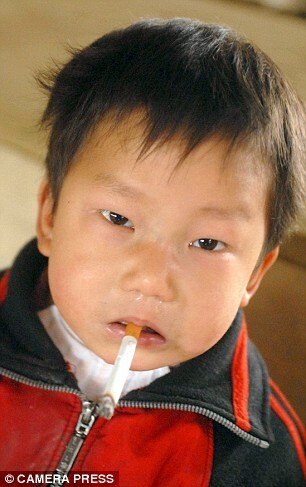 At least 50 people have been admitted to hospital, according to state news agency Xinhua. It added that a fire started by the explosion was "under control" but said two firefighters were missing. Several nearby tower blocks are without power, reported the Chinese state broadcaster CCTV. Ms Yang, an eyewitness, told local media she was out shopping when "suddenly from behind there was a big fireball and explosion". Tianjin is a major port and industrial area to the south-east of the Chinese capital, Beijing, and home to 7.5 million people. 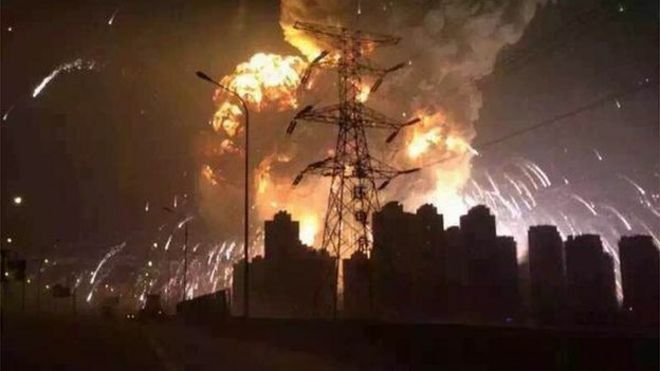 Boxun reports, local time on August 12 evening 11 o'clock, Tianjin Binhai New Area violent explosions occurred at least several times, according to Zone Emergency Office said the explosion, Tianjin Port Ruihai dangerous goods warehouse. Tianjin Fire news, Tianjin Binhai New Area, Fifth Avenue and Yuejin Road intersection of a container terminal exploded, the explosion is inflammable and explosive materials inside the container. Xinhua News Agency, explosive eruptions caused the fireball at the same time many companies surrounding secondary explosions. Accident has caused at least hundreds of people were injured, the current major hospitals near full staff, a lot of people waiting for rescue injured, no fatalities were reported. Until at 2:00 on the 13th, scene of the explosion has not been completely extinguished the fire, but the fire has been controlled, the injured firefighters were searching nearby residents. At the blast site in a total of six fire squadron involved in the rescue, the current firefighters involved in the rescue of two people lost contact, six people were slightly injured. Tianjin, said the people, 11:30 Xu, the northeast appear as bright red, then bang, after about three seconds feel a strong shock wave. Ten seconds later, the fire bigger and brighter, and after a loud crash ushered in a more powerful shock wave, beneath the sky a white mushroom cloud. Another public to reflect, an air waves rushed directly broken glass, the whole building shake a little, especially strongly felt. According to friends, "stupid elephant," said the area near the home of the gate collapse, officials lost several, great surfing, fire. Beijing Youth Daily report back that the explosion site was near the door Dongjiang Bonded Port Area VII hazardous chemicals warehouse, according to marina staff, the scene of the explosion mushroom cloud, the shock wave is generated twice, building doors and windows shattered all the glass, buildings are shaking. Because involving dangerous goods, dock units have been allotted to a nearby staff masks. Tianjin Fire news that around at 23:30 on August 12, Tianjin Binhai New Area, Fifth Avenue and Yuejin Road intersection of a container terminal exploded, the explosion is inflammable and explosive materials inside the container. Site ablaze, nearby residents could hear the loud explosion, a strong quake. Injured were rushed to a nearby hospital for treatment, casualties unclear. (08-13-2015 04:33 AM)SometimesThe Heart of a Turtle Wrote: [ -> ] Evilyoshida was taken out? They can't stop EY! They can just hope to contain him. Workers for "Dangerous Goods Warehouse".